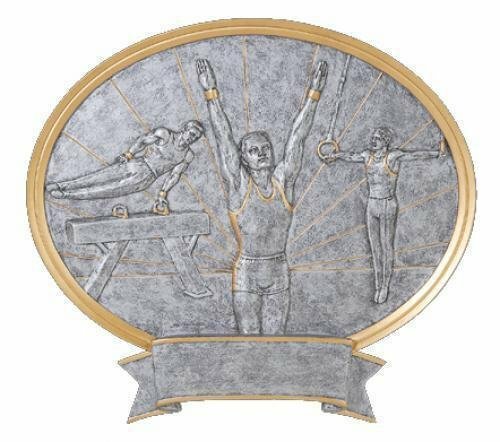 Gymnastics trophies, medals and plaques are used to celebrate and commemorate a fun gymnastics year. 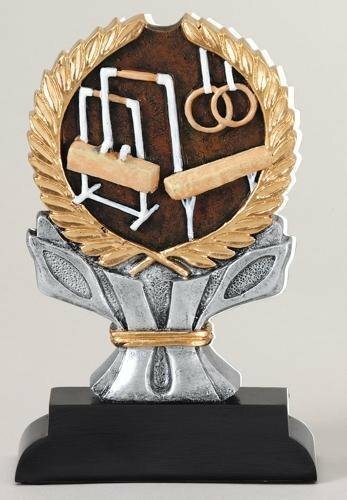 This category has a great selection of gymnastics conpetition trophies as well. 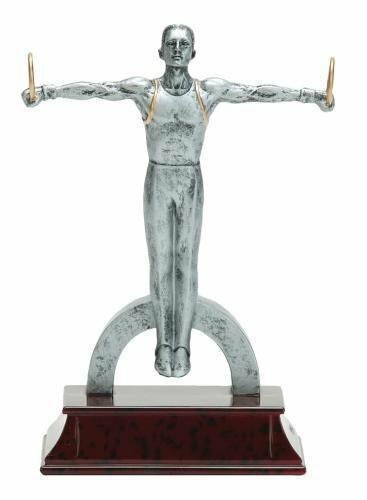 Whether you need an economy trophy or a more elaborate award, you are sure to find the perfect gymnastics trophy here. Free engraving is available for all awards. The Gymnastics Impact Award includes a brushed silver plastic plate with up to 3 lines of black laser engraved letters.